Over 13,000 people have been pardoned under Ethiopia's amnesty law. The Addis Standard is reporting on Twitter that the pardons have taken place over the last six months. The amnesty has now come to an end. Voice of America reports that the people pardoned had been charged with or convicted of treason or terrorism. 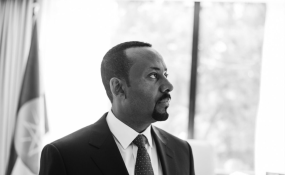 After Abiy Ahmed became prime minister in April, a six-month amnesty was introduced for those held under provisions of an anti-terrorism law that critics say has criminalized dissent, VOA reports.